How do you Compliment your Existing Trainings with E-learning? eLearning.com says that 77% of American firms are using eLearning. These statistics indicate that global organizations are relying more on eLearning to train their workforce. eLearning is definitely beneficial in terms of training. Let’s see how? If you are an organization ‘X’ looking for initiating training sessions for your employees, then you must be definitely confused on how to initiate them, right? A great idea would be complimenting your existing trainings with eLearning. Here are 4 ways of complimenting eLearning with your existing training curriculum. Learners who attend your training sessions, can be provided with an eLearning course first that might add some basics or knowledge about what they are about to learn. That will help them to come prepared with some basic knowledge so that classroom session can be brief andmore knowledgable. This is all about converting your classroom material into an interesting eLearning course that a learner can take independently in any environment he wishes to. This is the other side of a coin where the eLearning course was given before classroom session. in this case, an eLearning course is added after the classroom session toact as a refreshing, reinforcing learning and motivating learners. Sometimes, assessments can be made into small little eLearning courses after the traditional training that helps them recollect and attempt what they have learnt. This is to provide additional learning support by providing job aids and online supporting material to learners so that they can refer any information that is required. These materials and job aids can be used anytime even in classrooms. This is all about converting classroom material into eLearning. There are several other ways to use eLearning to make your trainings much effective. 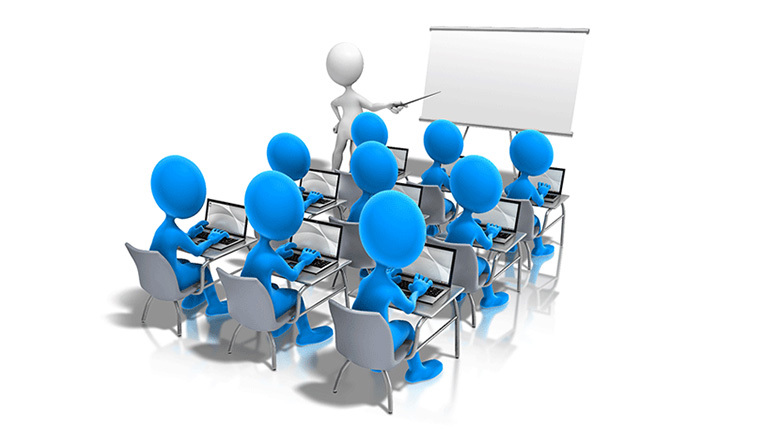 Organizations use eLearning to train their employees through eLearning sessions. Now are you familiar on how to initiate your training sessions? Please do share.